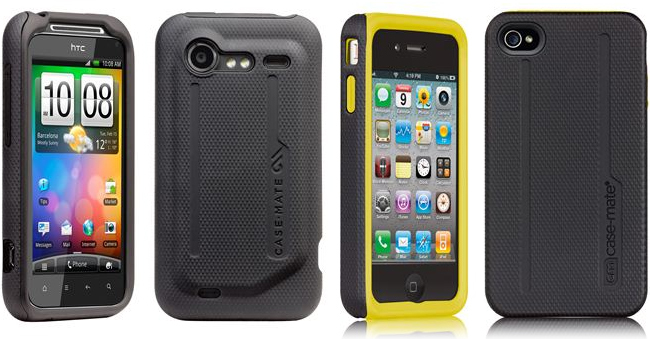 Case-Mate has released their Tough hybrid case providing a dual layer protection for both the HTC Incredible S and the Verizon iPhone 4. The Tough case is consisted of a hard ABS plastic outer shell and a soft silicone inner layer built to withstand drops and accidental falls from your clumsy hands. You can pick up a Tough case for the Verizon iPhone 4 in three colors for $34.99 while HTC Incredible S users have just the choice of a black color at this time, but will enjoy a slightly cheaper price tag of $29.99. It's a win win.